All in private car, private guide, private boat. 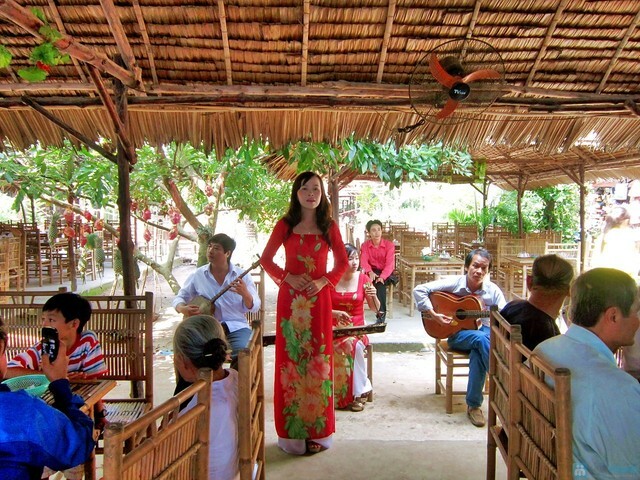 enjoy seasonal fruit & honey tea to the sound of "Southern Vietnamese folk music", performed by locals. This is the tour around city, you should take hat, umbrella, and short clothes to make sure that you enjoy the whole tour.